If you’ve ever spent much time around the ocean or the beach then at some point you’ve probably seen one member of the Tern family. There are seventeen types of terns in North America including natives and vagrants. They have great agility in the air and can travel long distances during migration. The Arctic Tern, as seen here, is amongst those that fly the farthest, traveling to the antarctic in the fall and back to the arctic in the Spring. They forage by piercing small fish with their needle like bill. All Terns have similar behavior. 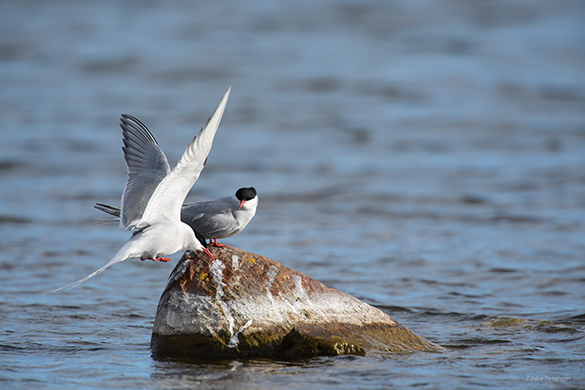 Arctic Terns in Churchill, Canada right now are pairing up to mate. Unlike other bird species Terns mate for life. It’s an interesting courtship to watch. The male will bring in a fish and present it to the female. The male will bow while the female talks. IF she is accepts the offering he might get some, if not he goes back to fishing. As a human it’s easy to find the humor in all of this but from natures standpoint it’s a very interesting evolution. Photographically Terns always make great subjects. Terns are a combination of white and black, mostly white. They standout against almost all backgrounds with the exception of the sandy beaches or rock ways that they nest on. Shooting with the D5, 600f/4, TC-17EII it’s a matter of following the subject and waiting for it to land. If there is a female present then it’s a no brainer to figure out. 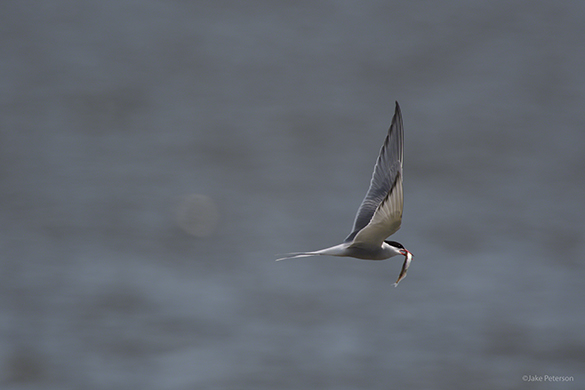 Fun fact about Tern’s after they land they usually do a little wing stretch before settling in.